In this 5-day course, get hands-on instruction and practice administering Windows Server 2012, including Windows Server 2012 R2. This course is part two in a series of three courses that provides the skills and knowledge necessary to implement a core Windows Server 2012 infrastructure in an existing enterprise environment. This course maps directly to and is the preferred choice for hands-on preparation for Microsoft Certified Solutions Associate (MCSA): Exam 411: Administering Windows Server 2012, which is the second of three exams required for MCAS: Windows Server 2012 credential. For upcoming class dates, as well as the full course outline, please click here. Hi all! 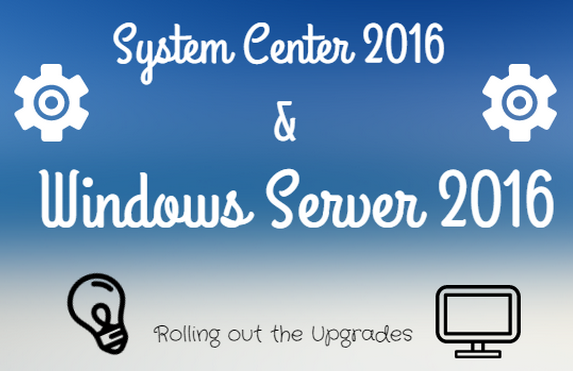 As you can see from the title of this blog, it’s all about System Center 2016 and Windows Server 2016. Versions 2012 are so last year! In the new and updated version we’ll see some cool enhancements. Upgrades for Hyper-V and Storage clusters will roll out, so updates and operating systems are implemented faster. You’ll also get compute resiliency, so VM’s can continue running even if the compute cluster fabric service fails. Finally, Storage Replica updates for synchronous storage replication for affordable backup and disaster recovery. We feel the need… the need for speed! (Thanks Tom Cruise)! I got the Power! (hearing that 90’s tune in our head, while we dance in spandex). Ah, the simple things in life. (We know this made no sense, but it’s a pretty baller statement coming from DA TERMINATOR)! Improved Linux Management, which includes DSC support, native SSH support, and improved LAMP stack monitoring. Cloud and workload management for Azure, Office 365, SQL, and Exchange. Support – we got support! Yep, we think it’s safe to say that we got the translations down pat (reading this, does anyone keep seeing the green webs from the Matrix? We keep seeing Keanu Reeves bending backwards). However, if you want more info on all these new updates go here, here, here, or here, and read all about it! In addition, if you’re still using versions 2012, no worries. We offer some great training for System Center 2012 R2 and Windows Server 2012 R2. Check us out! Our instructors are much smarter than the person writing this blog, and can get you to be the coolest IT person in your department! The ladies will love you, if not, your boss will! If you are looking for Windows Server 2008 training look no further. Even with the impending release of Windows Server 2012, Solartech is still looking to help those who are looking for training on the now old technology. Our two most popular Windows Server courses are 6419: Configuring, Managing and Maintaining Windows Server 2008 and 6420: Fundamentals of a Windows Sever 2008 Network Infrastructure and Application Platform. At first glance they may seem very similar however; they are for two very different audiences. The first class, 6419: Configuring, Managing and Maintaining Windows Server 2008, is for System Administrators who already have experience in a Windows Server environment. Some of the highlights include: managing Active Directory Domain services; creating users, groups and roles; configuring group policy, and implementing security settings. If these components are too advanced for you then 6420: Fundamentals of a Windows Sever 2008 Network Infrastructure and Application Platform is the way to go. In this course students will learn the basic fundamentals of networking, security, and server administration with Windows Server 2008. The audience can range from students still in school to help desk technicians. 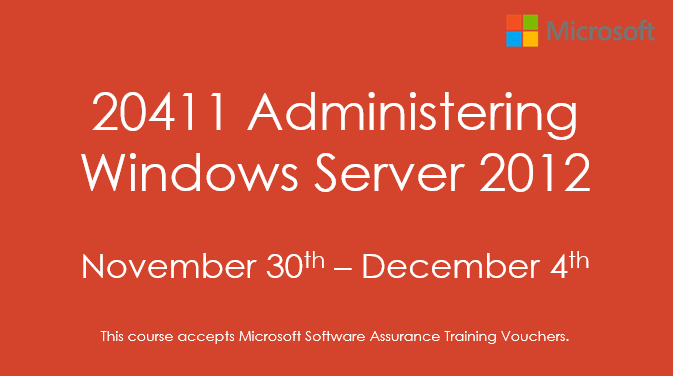 This class is a great way to start your career if you plan on leveraging the great elements of Windows Server. If you have experience using Windows Server we have 6419: Configuring, Managing and Maintaining Windows Server 2008 guaranteed to run (GTR) on 10/15 – 10/19. If you would like to know more about this class or any other Windows Server 2008 training offerings, please contact info@solartechnj.com to speak with a Learning Solutions Specialist. I hope to see you there!